Qualitative data – ie. freeform responses versus ratings or multiple choice answers – are notoriously difficult to sift through and analyze. It’s only recently that, with advanced technology and machine learning, it’s become much easier to tag, sort, and assign sentiment to qualitative feedback at scale. Tagging, in particular, is a huge time-saver when you switch from just manual tagging to auto-tagging. 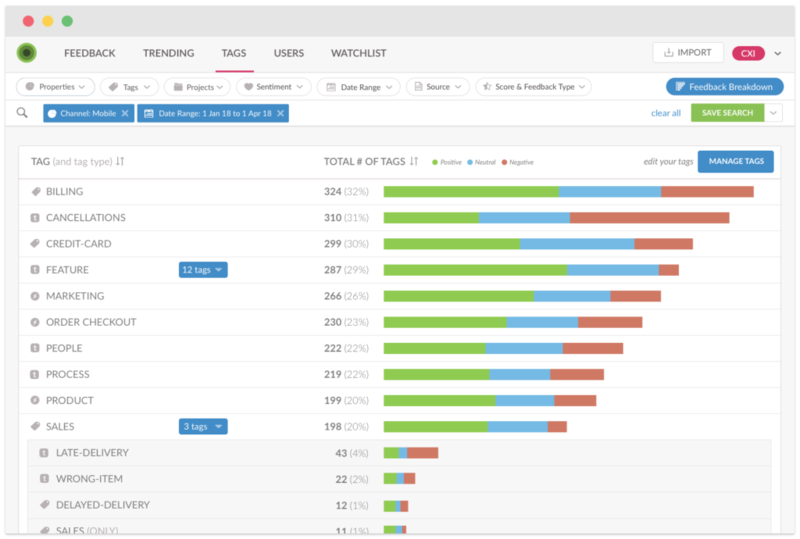 Tagging comments with their major themes is the first step towards conducting frequency analysis to identify trending topics – or find relevant feedback with a click. Using an NPS survey with an open-ended comments section, for example, you might find that your ‘detractors’ (low scorers) comments tend to be tagged with “slow loading time” or you may see a specific feature request recurring. Yep, modern customer feedback software should be able to deliver every comment with a feature request, for example, tagged and prioritized by frequency, from the highest-value customers, in about a second. When your customer feedback comes primarily through surveys that *don’t* include open-ended responses (to gather all of that golden qualitative data), it’s impossible to get the context you need to evaluate the issue and possibly solve it. But understanding the why behind NPS, CES and CSAT scores (to name a few) isn’t all the context you need to decide where to allot your time and resources. You literally have to consider the source. Is the feedback coming from a high-value, ideal client? Is your existing survey solution capable of identifying those markers? Did you know that it’s even possible to target specific customer segments with survey campaigns? And for even more context – you can target customer surveys based on product milestones. For example, you can set a CES survey to deploy after new feature use to find out how easy (or difficult) new customers think it is to use. An overwhelming number of customer comments can leave you feeling like you are trying to drink from a fire hydrant. It’s time to talk about the wonders of machine learning. Historically, extracting insights from piles of unstructured feedback has been difficult, expensive and time-consuming. That is not the case today. When you need insight from feedback at scale, it is time to invest in text and sentiment analysis using software with natural language processing. Machine learning has come a loooong way. Yes, algorithms must be trained to understand your company and customers, so chose a software vendor that will keep their team in the loop and ensure you’re getting good insights right off the bat. Then the software just gets better and better at telling you what is most important to your customers. Wootric CXInsight™ combines natural language processing with sentiment analysis to categorize feedback based on what matters most for your customers. When you know why your customers love you — or don’t — prioritization becomes a much easier task. Okay, there’s no excuse – this is so easily doable. You can set any CX survey you want to deploy on a regular basis, or, deploy after customers complete specific milestones. 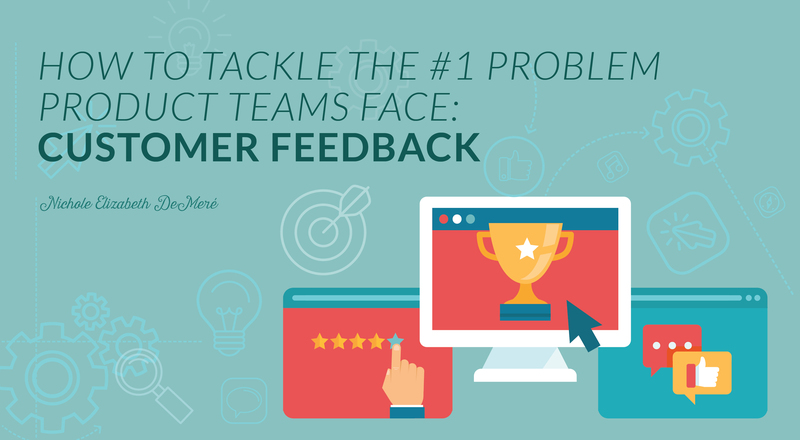 Having to go get customer feedback shouldn’t be something you have to think about. It should be automatic! Part of your daily, weekly, or monthly routine. But, it’s only that easy if you’ve got software that makes it that easy – let’s be honest here. 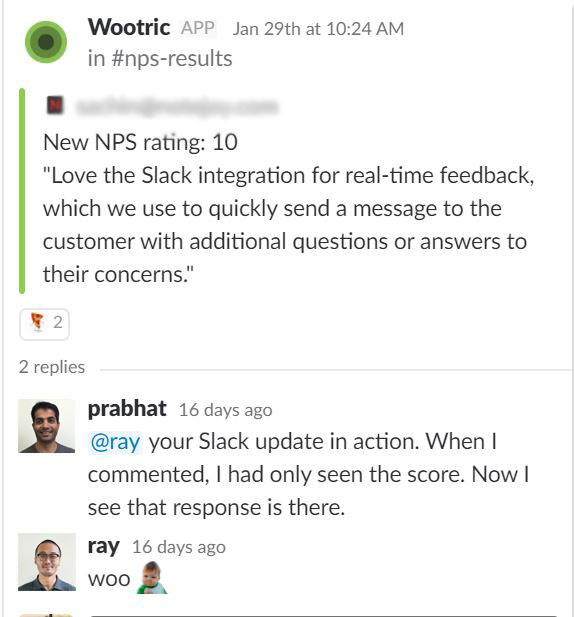 Modern customer feedback software can integrate with Slack, Intercom, or whatever you use, as well as deliver surveys to customers while they’re in your app, and deliver it to you tagged, sorted, and prioritized. You can have your finger on the pulse of customer satisfaction and will know immediately if there’s any fluctuation. As an added bonus, give a pat on the back to whoever built an update or solution for customers so they can see the results in action! Surveys are great – we love them. But you know what? Even with a qualitative feedback field, a survey can’t take the place of a real, person-to-person conversation. And usually, the biggest barrier to having those conversations is making the time. We can’t pick up the phone for you, but we can save you time. Enough time to schedule interviews with your customers and get even deeper insights that they may never tell you in writing. Here’s the thing, Product friends. You aren’t the only department that has to be “customer-centric” and talk to customers all the time and review steady streams of feedback. So to make this part of your job easier, you might have to reach out to other departments and make customer-centricity a multi-team effort. It’s not easy – true. But it is getting easier to solve qualitative feedback issues with modern customer feedback software! Sorry, we can’t help with the ‘too many cooks in the kitchen’ problem – that’s right up there with finding the cure for the common cold. We find that if you have to pick one source to guide product, NPS feedback is the going to be the most actionable. That said, when it comes to gathering customer feedback from many sources into one, easily searchable place, modern technology comes to the rescue again. What you want to look for is a customer feedback program that can pull all of customer comment sources together, like NPS or CSAT feedback, user interviews, support tickets, app store reviews, social and analyze those comments in a way that lets you see the big picture and slice & dice by theme, sentiment, survey date, and data source. Tackle your unstructured, qualitative feedback with Wootric CXInsight™.